With so many garage door companies to choose from, how do you know which one to call when you need repairs done with your garage door? Most of the time, a repair on your garage door is a time sensitive matter because it usually means that your garage door will not open or shut. If it won’t open, this can be inconvenient for your car, since many residents of Coos Bay prefer to park in their garages to help the paint last longer in the salty sea air. If your garage door won’t close, your valuables and stored belongings could be left out in the open and in danger of theft. 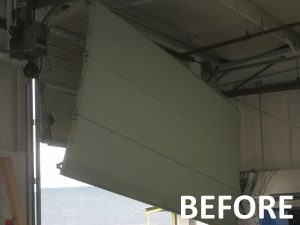 At American Industrial Door of Coos Bay, we believe in a quick response for all garage door repairs and most of the time can offer same day, next day and even 24 hour a day emergency service for our customers all over Southern Oregon and the Coos Bay area. 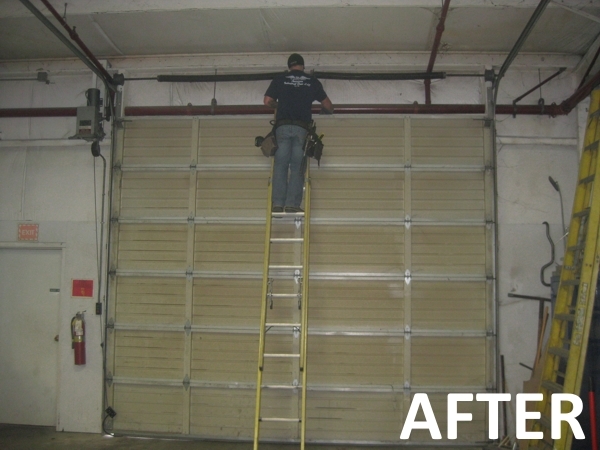 Whatever your repair needs may be, you can always trust the professionals at American Industrial Door to get the work done quickly and properly. Garage doors need repaired for many different reasons. Most of the time, it is because your garage door will not open or close. If this is the problem you are experiencing, it is probably an issue with the springs within the garage door that are responsible for the movement of the door. The torsion springs that operate your garage door last a very long time, but like most mechanical parts, they can be faulty or get broken. In Coos Bay, the springs can become rusty or weak because of the salty air that happens on the coast. The springs of a garage door generally last about six to ten years or about 10,000 cycles. Along with salty air, extreme temperatures can also have an effect on how long a garage door lasts. 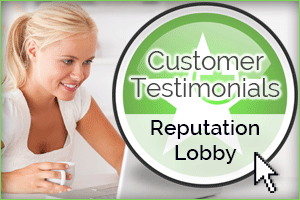 When you rely on American Industrial Door of Coos Bay for your garage door repairs, you are getting the most experienced and trusted name in the industry. Part of the reason why more home and business owners in Coos Bay call on us is because of the thorough work that we do for our customers. With ever service call, we carry out a 12 point garage door inspection tune-up that ensures that your garage door will continue to operate smoothly and safely for many more cycles. There are two different types of garage doors. Double and single spring models. With double spring models, it is usually just one of the sets of springs that are broken. However, because of our many years of experience, we know that once one of the springs break, the other is likely to follow quickly. Because of this, we replace both sets of springs so that you are instantly assured to have many more safe cycles of garage door openings and closings. If your garage door came equipped with a garage door opener, this is another part that may need repaired from time to time. Sometimes this is an easy fix with new batteries, other times it needs to be replaced with a new opener that will then need to be set in order to work with your specific garage door. 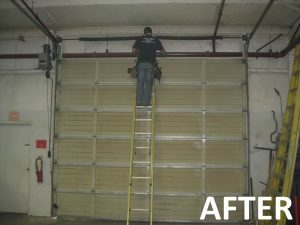 American Industrial Door of Coos Bay is familiar with all different types of garage doors and openers so you need not worry if we didn’t install your garage door, we can still help you with a new opener that will work efficiently. Another problem we have helped residents of Coos Bay with is the locks on their garages. If your garage didn’t come with a garage door opener, then it likely has a lock of some kind that helps keep your belongings safe. If this lock is not working properly, or if your garage doesn’t have a lock, American Industrial Door can help you with this as well.